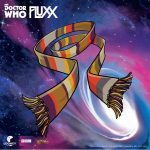 The folks at Looney Labs sent us a copy of Doctor Who Fluxx recently for review…and let’s get this out of the way first: I neither like nor dislike Fluxx. It’s fine. Fluxx itself is a short game that’s fun with people you know and who get into the theme, so that’s what’s going to be the big deciding factor if you like this version of Fluxx or that one. This is why I really don’t care for Stoner Fluxx (by Fully Baked Games, the “more adult” imprint of Looney Labs) but I do like Zombie Fluxx. The big thing with choosing a Fluxx game is the theme. 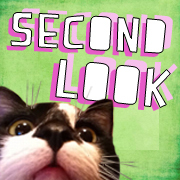 The basics of Fluxx are this: you draw one card and play one card. 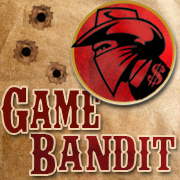 You’ll be playing new rules, which let you change the number of cards you draw or play as well as adding new things like hand limits; keepers, special cards that stay in play in front of you; goals, which give you a win condition that are usually based on the keeper cards; actions, which let you do one-time actions like trading your hand with someone else’s or stealing a keeper card; and creepers, which are like keepers but if you have them in play in front of you, you cannot win. Doctor Who Fluxx‘s cards are all themed from the show. The keeper cards are all 12 Doctors, plus a “future Doctor” — the announcement of Jodie Whittaker was made after this game went to print, so no 13. Also are companions from the new run of the show, so Rose, The Ponds (one card), and even Sarah Jane Smith. Plus K-9. Rounding out the Keepers are the TARDIS, “that scarf”, and the sonic screwdriver. Goals are combinations of these cards. If “Grand Theft TARDIS” is the goal, if you have The 1st Doctor and the TARDIS in play, you win! “Regeneration” is the goal? Win if you have two sequentially-numbered Doctors. Some goals require any Doctor or any Companion. The Creepers include The Master, who moves to any player that has a Doctor in play. Weeping Angels, who move to the play area with the TARDIS. Daleks, who can be removed by sacrificing any Doctor in play (not just your own). And Cybermen, who just sit there. 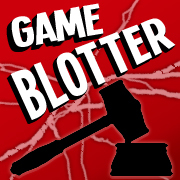 Some goals require Creepers: “The Master’s TARDIS” needs The Master and the TARDIS cards. 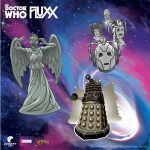 Doctor Who Fluxx also includes a small number of Surprise cards, which you can play out of turn to cancel out a card someone just played or their own special ability. So, how well does this capture the Doctor Who IP? Not a bad job, really. It feels more of a themed set-collecting game than really evocative of the types of adventures the Doctor goes on. The best thing in the box are the creeper cards and how they interact with the other players, which is really cool. Looney Labs is primarily pulling from the revived series here with a nod at Tom Baker’s run, which was the Doctor from the original run that most people in the United States seemed to grow up with. The artwork on the cards is all vector-based and while some cards were really good representations of the characters and items from the show, there were a few that looked…off. We played with one person who hadn’t seen the show and two that had. The one that hadn’t seen the show really enjoyed it, but she loves Fluxx in all forms. Being a fan of the show would have had her really dig into it. One player who had seen the show hadn’t ever played Fluxx before. She loved it, too. 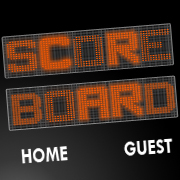 So: Are you a fan of Doctor Who and want a simple, quick game to play? Here you go. If the theme doesn’t grab you, go for Zombie, Batman, Math, Chemistry, Monty Python…. There are many Fluxx variations to choose from. 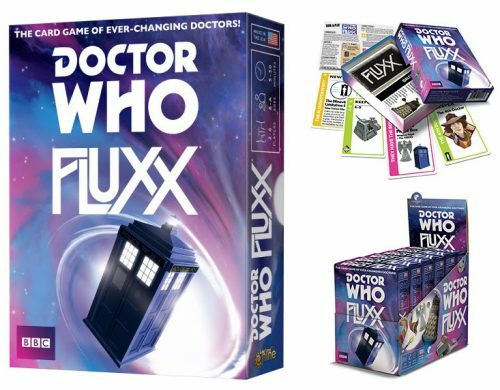 A copy of Doctor Who Fluxx was provided free for review purposes by Looney Labs.